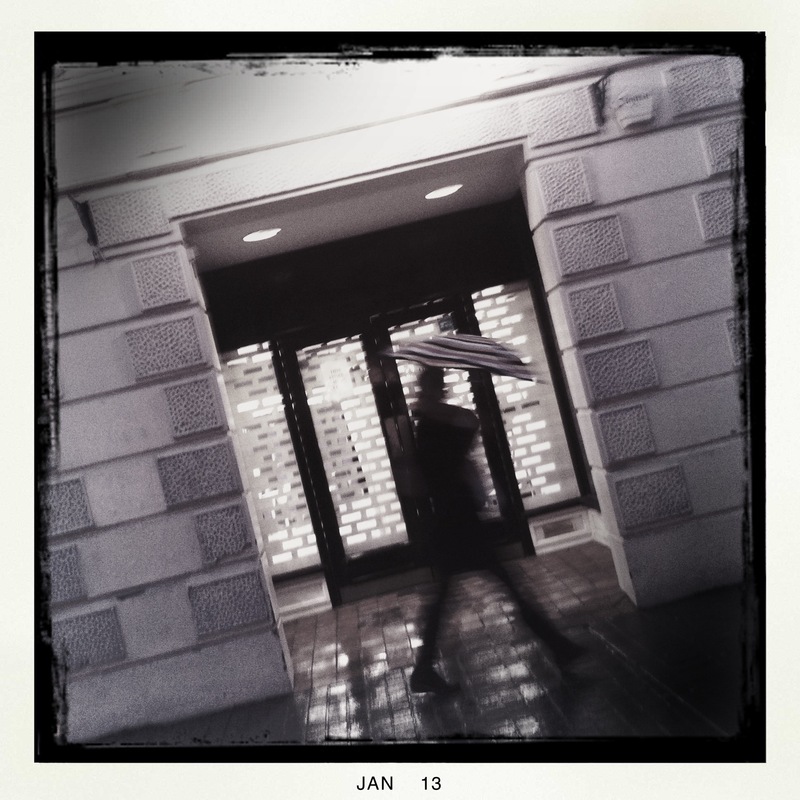 Bandcamp For Fans. You Need This! Whether you’re a music fan or an artist, the brand new fan pages from Bandcamp are really rather exciting. 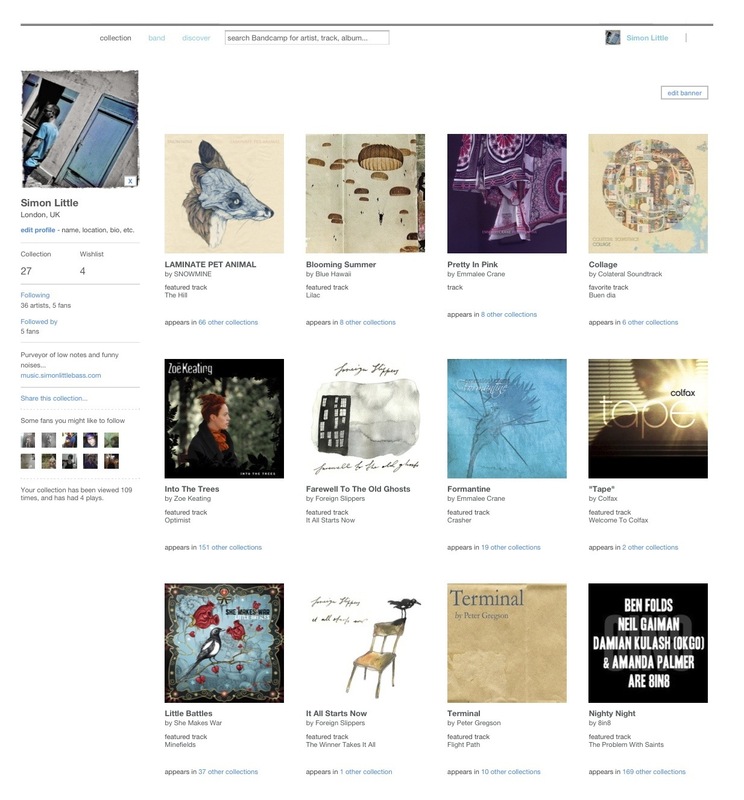 As you can see, you get a really straightforward page showcasing the music you’ve bought on Bandcamp. You can show or hide whatever you like on your page, add reviews/comments to albums and select your favourite track for the player. You can follow both artists (which automatically signs you up to their mailing lists and lets you know when they release new records) as well as your friends and other fans so you get notified when they buy new music. 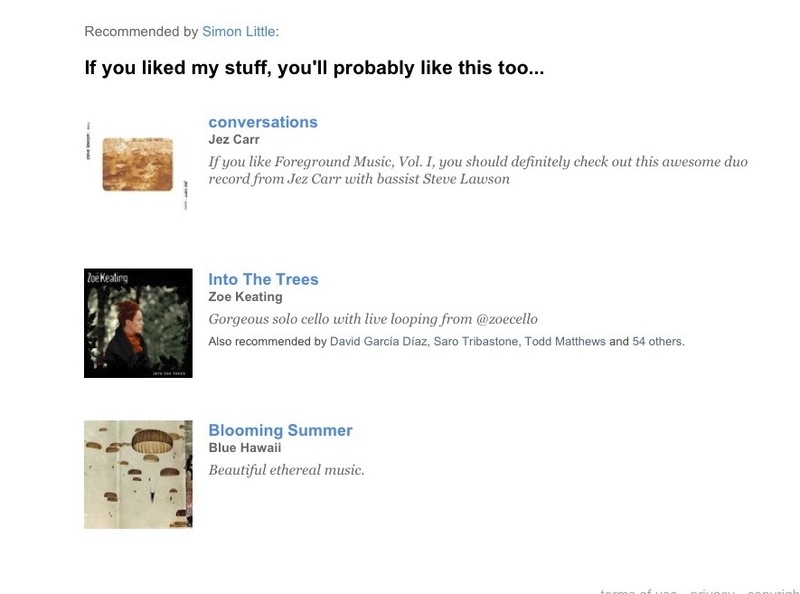 And once you’re signed up as a fan, a little thumbnail of your profile picture will appear beneath any album you’ve recently bought on the artist’s page in the ‘supported by‘ section, as will any comments you’ve added as a recommendation. Artists can now engage more with their fans and other artists alike. Fans are incentivised to pay for your music so they feature on your page as supporters and showcase your music in their collection (free downloads don’t offer these possibilities). Your music can now be found via genre and tag searches, artist recommendations and fan pages. You can expand your mailing list as people start following you and automatically gain access to your fanbase when you really need to; when you release new music. Bandcamp describes the fan accounts as “a social music discovery system based on the high-friction concept of ownership“. The idea being to involve fans at a level greater than simply pressing a ‘Like’ button or scrobbling plays on last.fm, and thus engage more with a sense of community and support for the artists they love. This afternoon I did what I quite often do on a day off and headed into my local town centre in Windsor for a wander. I generally do this a couple of times a week. I go for coffee, do the food shopping. And I always have a look in HMV. Now I wasn’t particularly surprised at the stir this caused considering who I follow on Twitter and who follows me. There are a lot of independent musicians and fans of independent music who may well have little need of such a chain and probably haven’t visited a branch of HMV for years. But HMV has been a big part of my life for as long as I can remember, so I thought I’d drop a quick post here partly to say goodbye and partly so you can share your thoughts too. When I was learning music as a kid I dreamt of the day when I could walk into a big record store and find something that I was on. Sad but true. Now (well, until today anyway) I can walk into pretty much any branch of HMV and find at least one record that I’m on somewhere. Which is a great feeling. And I don’t get that feeling when it shows up on iTunes; even for my own records. But this is by the by. Obviously the massive shift in the music industry and the change in the way that people buy their music has had a huge effect on the high street. Richard Branson shut down his Virgin Megastores years ago. He saw it coming. They were largely bought up by the European firm Zavvi, which lasted all of five minutes. 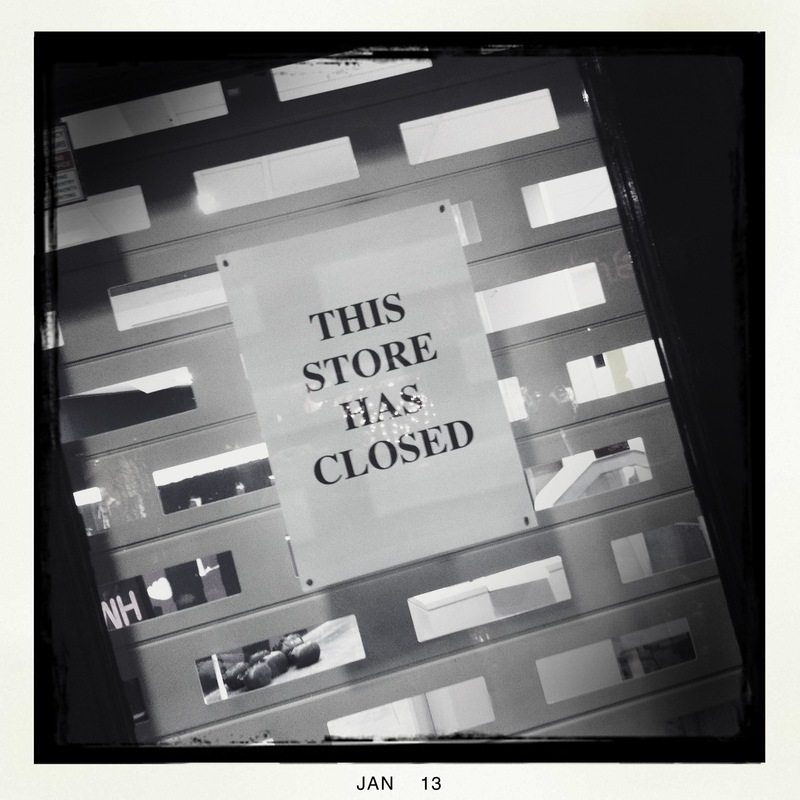 Fopp (my record store of choice) went bust when they tried to expand and got partially rescued by HMV. So they are doomed too which is a bloody shame as they were possibly the best high street music retailer (even after the HMV takeover) for both commercial and more esoteric music. We can all see where HMV got it wrong. They failed to keep up with online trends, sporting one of the shoddiest websites around. They failed to compete with online giants like Amazon and play.com and lost out. Perhaps high street record stores were always doomed to vanish the minute music consumption shifted to digital from physical media (even given the supposedly renewed trend for vinyl). But I really thought that there was room for at least one big chain to survive on the high street. And HMV was the last man standing. 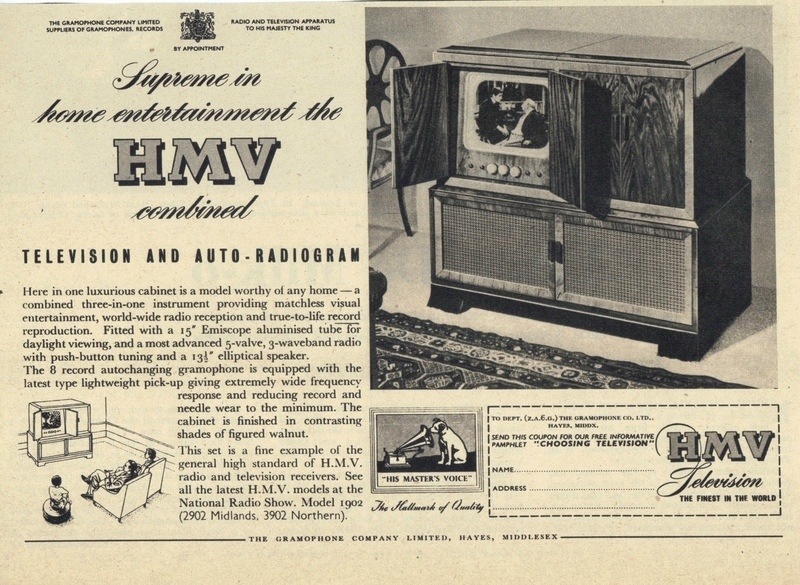 I suspect that many of you reading this will probably say you buy your music (whether physical or digital) almost exclusively online anyway and won’t be sad to see HMV disappear from our high streets, citing it’s out-moded business models and pricing policies. And you’re probably correct. But I will miss browsing around the stores and finding little gems. I buy a lot of CDs folks, and I buy them in shops. I like to see what’s just come out in the new releases, see what’s on offer. I’ve bought a few albums having heard them playing in Fopp. I’ve even bought a couple of albums because (sharp intake of breath!) I like the cover. Yes indeed. I am particularly good at that it turns out. I like to happen upon things in Fopp and occasionally take a chance on something I’ve never heard of if it’s a bargain. I’ve never done that on Amazon. I do also buy a lot of music digitally, either via Bandcamp or iTunes (yes I still use iTunes!). I like having the choice. If it’s an album by someone I love, I will buy the CD. I’ll always be first in the queue at Fopp when a new album comes out by someone like Bjork, Antony & The Johnsons or Sigur Ros. But I want to go to a shop. If I have to order it online I will most likely buy the download. It’s cheaper and it doesn’t take up valuable shelf space! I know this blog post probably makes me sound very old-fashioned and over-nostalgic, but I really will miss record stores. And yes, I know there are still some independent record stores out there, but they are few and far between and even fewer stock anything I’d be interested in at a sensible price. 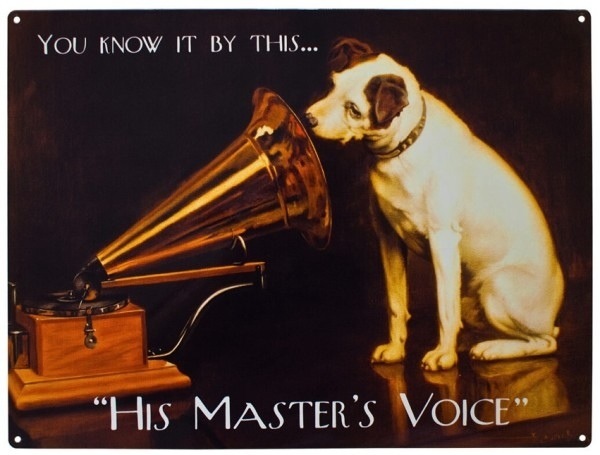 HMV often did. And Fopp always did.